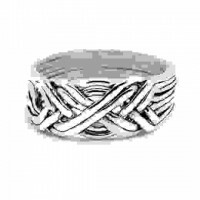 X marks the spot in this wide X 6 band Turkish puzzle ring - in a light 16 gauge sterling silver wire. 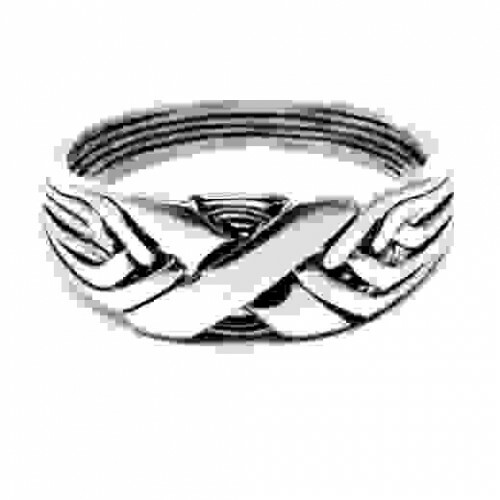 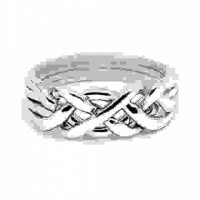 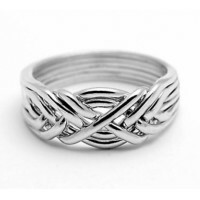 Intricate, hand made sterling silver puzzle ring has 6 bands that interlock to form the X knot as shown. 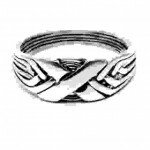 It comes fastened together so release the bands at your own risk - we do not guarantee you will be able to solve the puzzle and put them back together! 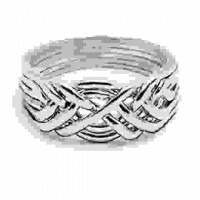 Item Number: MN-6W16 | Approximate Size (Inches): 1.00 wide x 1.00 deep x 1.00 high | Approximate Shipping Weight: 0.25 lbs.